One Man Star Wars Trilogy & Dr. Balloon’s Science Adventure, 2 international fun-tastical show in celebration of Malaysia International Family Day 2017 ! KUALA LUMPUR, 6 APRIL 2017 — This April and May, international show promoter, event and entertainment specialist Milestone Production will bring you on a ride of a lifetime with TWO very special international shows from Broadway and the UK. These shows will be organised in conjunction with the International Day of Families. Usually observed on May 15 every year as proclaimed by the United Nations Assembly in 1993, the International Day of Families honours the importance of family bonds amongst the international community. The International Day of Families has inspired a series of awareness-raising events, including national family days. In many countries, that day provides an opportunity to highlight different areas of interest and importance to families. Activities include workshops and conferences, radio and television programmes, newspaper articles, cultural programmes and events highlighting relevant themes. Grace Lee, Managing Director of Milestone Production said that this will be the second year that Milestone Production will be celebrating The International Day of Families aptly named as Malaysian International Family Day Shows with two very special international shows. And to make it even more memorable, the shows will be touring up north to Penang as well after Kuala Lumpur with the support of Penang Tourism and with the collaboration of Tech Dome Penang. 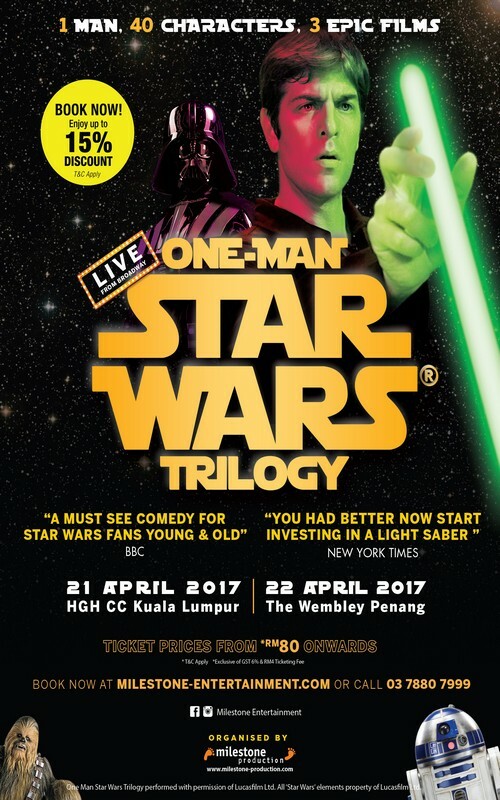 Officially endorsed by Lucasfilm , the critically acclaimed Broadway comedy parody “One Man Star Wars Trilogy” which has been performed across the globe for the past 16 years will be making its Malaysia Premiere on 21 April 2017 (Friday) at HGH Convention Center KL followed by 22nd April 2017 (Saturday) at The Wembley’s Grand Ballroom , A St.Giles Hotel Penang. Even if you are not a Star Wars fan, you will be mesmerized by Canadian actor Charles Ross’ talent where he singlehandedly plays all the 40 characters in the original trilogy “A New Hope” . “Empire Strikes Back” and “Return Of The Jedi”. 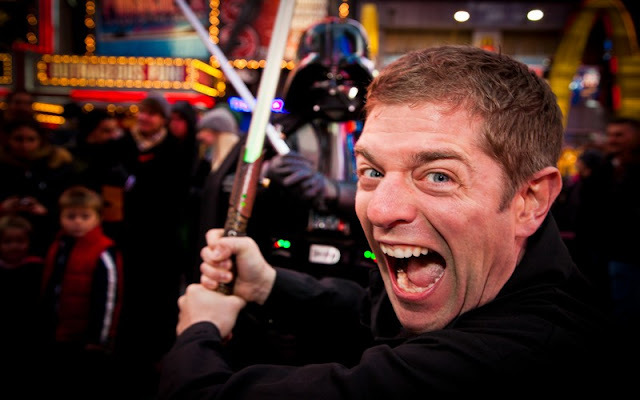 He will wow the audience by singing the music, flying the ships, fighting the light saber battles and condense the Star Wars trilogy plots into just over 75 minutes of live entertainment. It’s time to invest in a light saber and choose your side of the force! 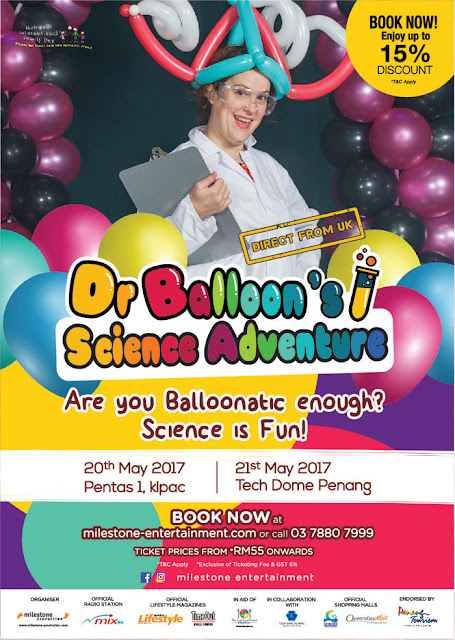 Alternatively, families can purchase tickets to watch Dr. Balloon’s Science Adventure and have a family day out at Kuala Lumpur Performing Arts Centre (klpac) on 22ns May 2017 and Tech Dome Penang on 21st May 2017 (Sunday). 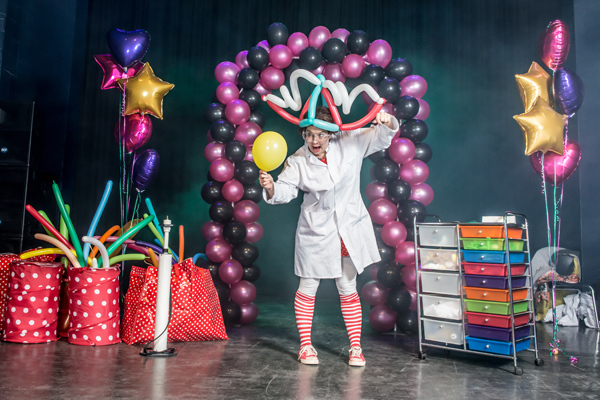 Don’t be fooled by the white lab coat, Dr. Balloon’s Science Adventure is ‘no balloonist’, as guests will be whisked away into her secret balloon lab for some highly addictive pops and bangs. Becky’s wacky shows takes her participants through an exploratory and interactive journey into the science of physics, she will make the nearly hour-long adventure unforgettable for the entire family. So start plotting time in the family calendar for some fun time and start making preparations for some light-hearted fun with the little ones with these two electrifying shows slated to arrive here in the next two months!